About 4% of Australians have suffered from depression in the past 12 months, but half of them have not had it diagnosed. They may not have recognised it, may have feared the stigma of mental ill health, or had a sense of pessimism about treatment. Avoiding or delaying diagnosis means people miss out on treatments that might have eased their suffering. So how can we better detect depression and reduce the burden of undiagnosed illness? One way is to introduce screening programs, where general practitioners have their patients complete a brief questionnaire. But while it is important that the detection of depression is improved and that suffering is alleviated, simply writing more scripts for antidepressants shouldn’t be the result. The United States Preventive Services Task Force, a government-funded group that makes recommendations about evidence-based preventive health measures, has repeated its 2012 call for doctors to regularly screen their patients for depression. It has expanded its recommendations to include women who are pregnant or who have recently given birth, and has made an additional recommendation to screen adolescents. The task force now recommends that all people aged 12 and older be screened for depression. It notes there is reasonable evidence that screening leads to a reduction in depression, while causing only minimal harms. Importantly, the task force recommends screening only be performed if there are “adequate systems in place to ensure accurate diagnosis, effective treatment, and appropriate follow-up”. There is little point in a GP detecting possible depression in someone who won’t have access to the right care. 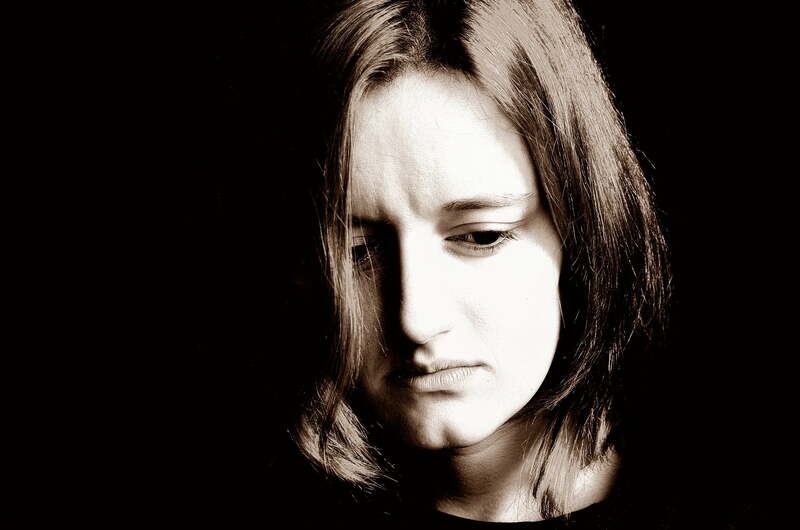 If screening for depression causes discomfort in the community it is for two reasons: the belief that the diagnosis of depression is applied too broadly, capturing people with only transient sadness that might be a normal part of human experience; and that antidepressant use is too widespread. Psychiatric diagnostic manuals such as the DSM-5 (Diagnostic and Statistical Manual, Fifth Edition) and ICD-10 (International Statistical Classification of Diseases 10th Revision) define the symptoms that comprise a depressive disorder. There is broad agreement that the criteria do not “carve nature at its joints”, as Plato suggested a good definition should, but define a dividing point along a continuum. Depression is a syndrome. Low mood is an important component, but is not enough by itself for the diagnosis. This is one reason why depression isn’t just simple sadness. Low mood is accompanied by changes in sleep and appetite and by symptoms such as difficulties concentrating, fatigue and self-reproach. The committees that considered the criteria for the DSM and ICD diagnoses of depression decided that a person had to have at least five of nine symptoms for two weeks to receive the diagnosis. They might have just as plausibly settled on six symptoms for four weeks, or four symptoms for one week. Without definitive biological markers of the illness, we have to accept a consensus definition if we are to have any sort of consistency. And while we can quibble about what exactly that should be, there is little doubt that many people do not seek help for their depression, wherever we draw the line. Such “border disputes” about depression are really a proxy for the more deeply held concern that antidepressant medications are over-used. A report last year revealed that Australia had the second-highest per capita use of the medications in the 33 countries surveyed (after Iceland). There is an unfortunate nexus between the diagnosis of depression and the prescription of medications – for which doctors have to share a large part of the blame. The more we have come to understand the effects of the medications, however, the more we have realised that they are, overall, only modestly effective: very effective for some, not at all effective for others, and somewhere in-between for many. But medications aren’t the best, or only, treatments. There is a strong evidence base for psychotherapies – in particular, for cognitive behavioural therapy and interpersonal therapy (both developed, as it happens, by medical doctors). These are at least as effective as medications, and the combination of therapy and medication is more effective than medication alone. The US task force recommendations highlight the importance of collaborative care, where the GP works with other health professionals to co-ordinate the management of people with depression. This is particularly important for women who are pregnant or breastfeeding, where the recommendations make clear that the potential harms of using medications are greater. Australia’s Medicare Better Access Scheme is making therapy more affordable in Australia, and many GP practices now house psychotherapists to provide a team-based approach. Psychotherapists, like other health professionals, tend to concentrate in established city suburbs and aren’t so easily accessed in outer suburban and rural communities. This is a real problem. This problem is offset to some extent by internet therapies – which aren’t as widely accessed as they should be – but the difficulty many people face finding a psychotherapist is one reason that antidepressant use in Australia is so high. Screening for depression is a good thing if it leads to less suffering. More people getting treatment shouldn’t mean more antidepressant scripts. It might in some cases, but it is incumbent on the doctors doing the screening that they provide the best treatment for their patients.